Helmholtz coils are used by scientists to generate uniform magnetic fields to study electromagnetism and its characteristics. These devices are used in MRI, spectroscopy, magnetoresistance measurements, and equipment calibrations. 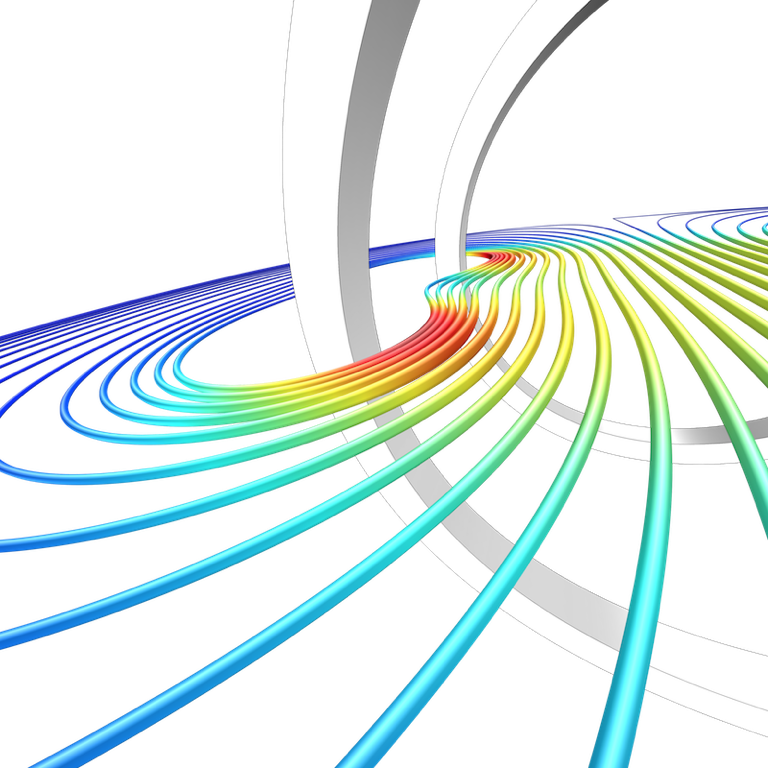 Here, we’ll look at what Helmholtz coils are, why they are important, and using a simulation-based approach to their design. This post was originally published in 2014. It has since been updated for accuracy and to include further information on the Magnetic Field of a Helmholtz Coil tutorial. Magnetic fields are forces that are created by moving electrical charges and can be established when a charge is moving in space or spinning in place. When a magnetic field is nonuniform, objects will experience different forces based on their position. But with the special arrangement of two identical coils — known as a Helmholtz coil — it is possible to achieve very uniform magnetic fields. Helmholtz coils are used to create uniform magnetic fields for experiments requiring a known magnetic field or to cancel external magnetic fields, like those of Earth. Other applications include determining magnetic shielding effectiveness, quantifying the susceptibility of electronic equipment to magnetic fields, and calibrating navigational equipment. 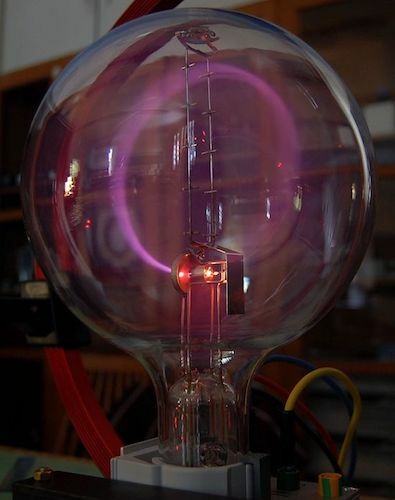 Cathode rays bent into a circle via a Helmholtz coil. Image by Sfu. Licensed under CC BY-SA 3.0, via Wikimedia Commons. When designing Helmholtz coils, a question naturally arises: How uniform is the magnetic field and over what distance? 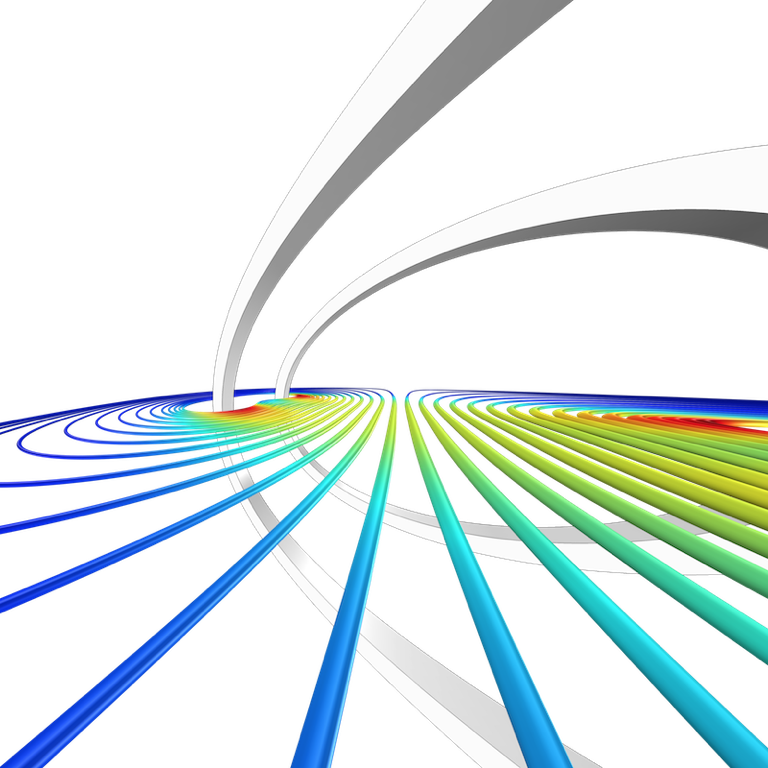 To answer this, we can turn to the COMSOL Multiphysics® software. The geometry of a Helmholtz coil is comprised of two identical circular coils that are spaced one radius apart. 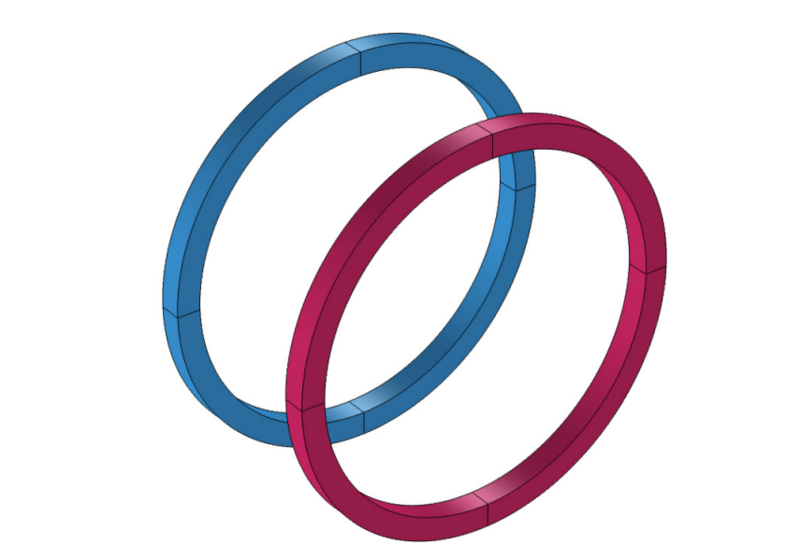 The coils are wound so that the current flows between them in the same direction. This in turn creates a uniform magnetic field where the primary component is parallel to the axes of the two coils. Such uniformity can be attributed to the sum of the two field components that are parallel to the axes of the coils as well as the difference between the components that are perpendicular to these same axes. A schematic of Helmholtz coils. To model the coils, we use the built-in 3D Magnetic Fields interface, which is available in the AC/DC Module. For this specific example, the coils are generated by 10 wire turns and a current of 0.25 mA passes through them. The model geometry for the Helmholtz coil tutorial. 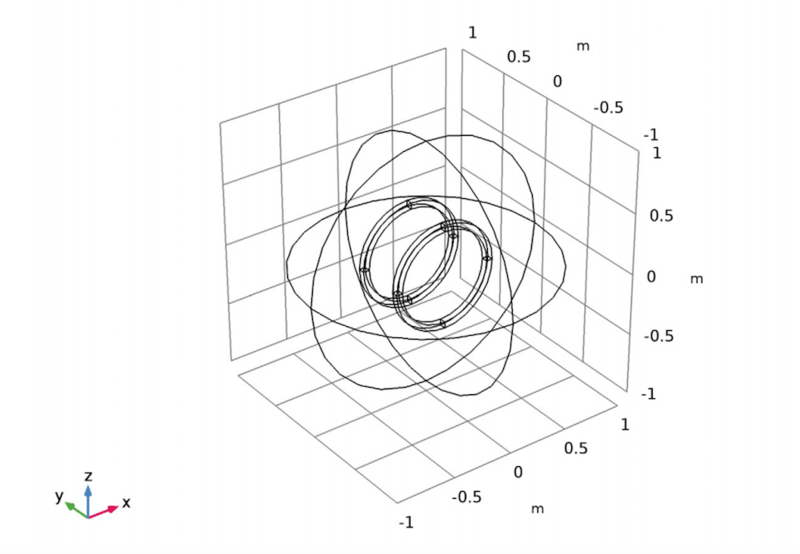 From the plot below, we can visualize the magnetic flux density between the two coils. Note that the red arrows represent the strength and direction of the magnetic field. As the results indicate, the magnetic flux density is mostly uniform in the center of the two coils, with a region near the edges of the coils where the magnetic field is nonuniform. The field components perpendicular to the axes of the coils cancel each other out, resulting in a net field of zero, while the field components parallel to the axes of the coils combine with one another. 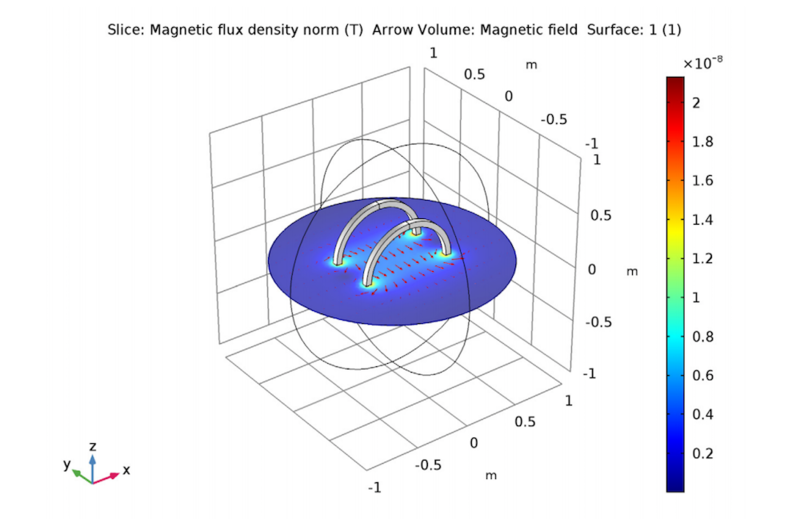 Slice plot depicting the magnetic flux density between the two coils. Using postprocessing techniques provides an even closer look at the uniformity of the magnetic field. Once again, we can see the uniform parallel magnetic flux in the center of the coils and the inhomogeneities close to the coils themselves. Visualizing the uniform magnetic field of a Helmholtz coil via postprocessing techniques. As this example shows, simulation further simplifies the process of constructing Helmholtz coils and calculating their magnetic fields. Such analyses help to ensure the uniformity of these fields — often the most sought after feature of a Helmholtz coil — for various applications. I need help in voltage drop and current drop in secondary coil. Can you tell me how to plot it. i just started with Comsol and i have a question. When i open the *mph file and have a look to the computed result by Comsol i recognize a maximum magnetic flux density of 2.13×10^-8 T. Otherwise when i take my hand calculator the result is 5.62×10^-9 Tesla. I took the formula from wikipedia (https://en.wikipedia.org/wiki/Helmholtz_coil): B=(8/5*sqr(5))*(µ0*n*I/R)=(8/5*sqr(5))*(1,257*10^-6 Tm/A*10 (windings)*0,25*10^-3 A/0.4m). Could you please tell me, where i did a mistake in my calculation?